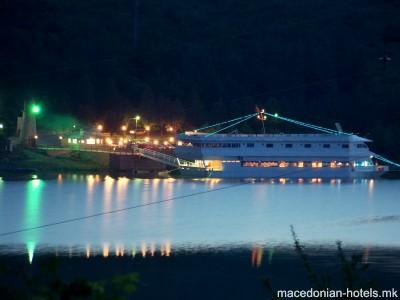 Тhe feeling that you are on a boat is an unforgettable experience that you need to enable for yourself. 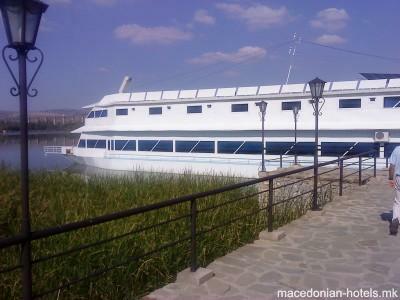 Hotel Brod Panini (Boat Panini) is located in a natural surroundings, on the Veles Lake, right next to the E-75 highway. The meeting hall offers you an opportunity to organize seminars, trainings, promotions and other events for approximately 45 persons. 6.62 km distance from Veles main square. Online booking unavailable for Hotel Brod Panini.